With London emptied of its young men - off fighting on the frontlines of World War 2 - Catrin Cole (Gemma Arterton) is hired by the British Ministry of Information as a scriptwriter charged with bringing “a woman’s touch” to morale-boosting propaganda films. Despite her husband’s lack of interest in her new job, Catrin’s innate talent gets her noticed by movie producer Buckley (Sam Claflin). As bombs drop all around them, Catrin, Buckley and a colourful crew struggle to make a film that will inspire the hearts of the nation. It also helps that Scherfig’s movie is not really about the events at Dunkirk. Instead, this is a film about the making of a film about the evacuation. While it may not boast a Nolan-sized budget, its wonderful cast, moving story and impressive recreation of time and place makes Their Finest a charming watch with Dunkirk Spirit to spare. 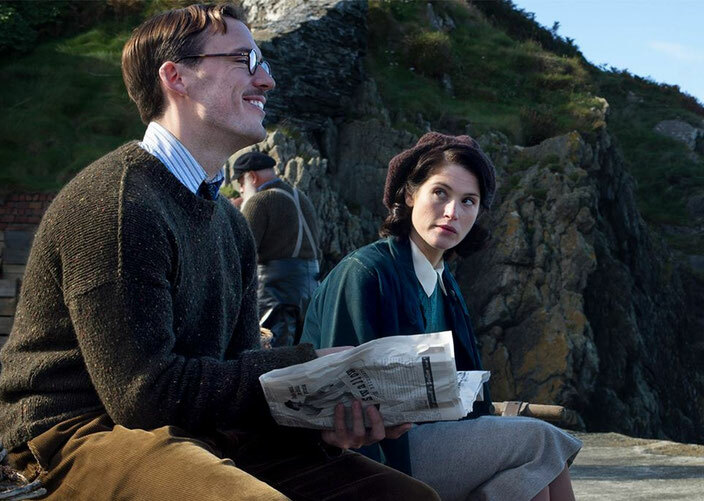 Their Finest is also about Catrin’s emerging independence in a world where the very concept of professional women was often dismissed, resented or even feared. Catrin is tasked with writing the women’s dialogue or “slop” and she is told in no uncertain terms (by a brilliantly snooty Richard E Grant) that she won’t be paid as much as “the chaps”. Gemma Arterton gives a superb, nuanced performance - giving Catrin a feisty independent spirit while also bringing real heart to the story. In addition, Their Finest explores the importance of cinema in uniting a nation. Indeed, the movie truly comes alive when it takes us the behind the scenes. It is fascinating to see Catrin and Buckley’s writing process and Scherfig has great fun with the filmmaking wizardry of WW2 propaganda films (watch out for the wonderful scene with the matte painting). I was less convinced by film’s romance and love triangle between Catrin, her husband Ellis (played by Jack Huston) and Buckley. However, both Arterton and Clafin are extremely charismatic and have great onscreen chemistry. I greatly enjoyed their verbal sparring. Meanwhile, effortlessly stealing every scene is Bill Nighy’s aging actor, Ambrose Hilliard. While this is a role that Nighy could do in his sleep, his performance is so welcome and often deeply poignant. For while The Finest has its moments of comedy, it is unafraid to reveal the danger and devastation of WW2. By combining charming comedy with the brutal reality of war, Their Finest’s emotional power creeps up on you - its final scenes would leave only the hardest of hearts unmoved. There are a number of wonderful cameo performances in Their Finest - most notably by Henry Goodman, Eddie Marsan, Jeremy Irons and Helen McCrory. Their Finest is based on a novel by Lissa Evans called Their Finest Hour and a half. If you enjoyed Their Finest, I would also recommend Lone Scherfig’s An Education. 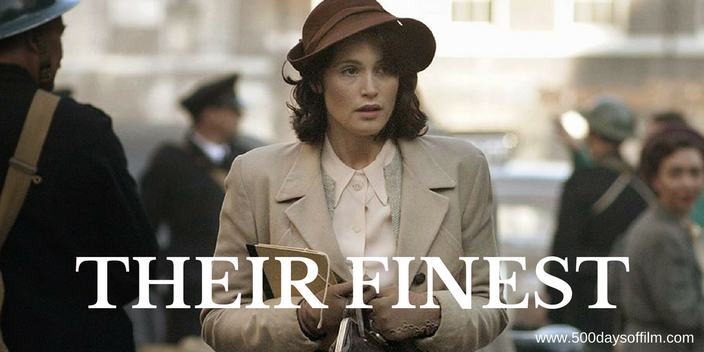 Have you watched Their Finest? If you have, what did you think of this film? Let me know by leaving me a comment in the section below! Really enjoyed this film - saw it at last year's London Film Festival and it received a great reception from a packed audience. Good to see a film full of British talent. I agree that An Education is also worth watching.